With every budget or spending plan, you need the flexibility to ensure that if you go over in a category and it is unavoidable you need to move money around to cover the expense. However, sometimes, it becomes more serious than that, you just can’t stop spending money, you come home with goods that you didn’t want or need and somehow the money you planned for other expenses is gone. The first step here is to identify what you are spending money on and then work out how to tackle the problem. Understanding why you are spending money is enlightening, sometimes it is not something you have thought of, or you put it out of your mind as you don’t want to face up to your financial responsibility, but until you look at the reasons for spending money it is very difficult to take back the control. Learning how to stop spending money is so important, but you have to know where you are spending it first! If you are not creating a budget and sticking to it, you will quickly find that you will have financial difficulties; either running out of money or spending more than you can afford. Paying for goods and services by debit or credit card is easy; however, it is too easy and you can quickly forget the true cost of the goods you are paying for and the actual money that it represents. It might seem old-fashioned in some ways, but by spending actual cash, it is easier to see what money you have and how much you are actually spending. Unfortunately, we live in an economic climate that has allowed credit to become easy to obtain; yes there are high-interest payments associated with the different type of credit, but it doesn’t seem to stop people using this credit to spend more money that they currently have. Using credit is giving these companies money in the form of interest for not saving up for the items you want, you end up paying a lot more for the goods and services which you pay for with credit. There is pressure all around for us to spend money and this can have a negative impact on how we see and use money. It is not that people don’t work hard for their money, but there is more pressure than ever to spend it. Spending money in this way is not good for your financial future or your current budget. Don’t be persuaded by peer pressure or even advertisements, it is difficult but often these are impulse purchases and not something that you really want or need. Pretending that you can afford to spend money is not wise, if you can’t afford to go out with your friends, then tell them, don’t spend money that you haven’t got or can’t afford to spend. It is difficult if you see others spending money without caring how much they are spending, then that is fine, you are not in control of their financial situation, but that mustn’t stop you with yours if you start to take control they might be looking to reduce their spending too. The most important part of taking control is to understand where your money is going and how much money you need for bills. Creating a budget is important, but the hardest part is sticking to your budget every single month. Only then do you have control of what you are spending and how much money you have to spend on the items that you want. You might find that using cash might be odd in this current financial climate, but it will give you more understanding of actual money and how far it really goes. If you run out of cash then you haven’t any money to buy goods or services, unlike if you are using a credit or debit card, chances are you are able to put the money onto these items. The author of this book is great, he makes so much sense when it comes to personal finance and looking at the bigger picture. Credit is too easily obtained and this means that you’re offered different forms of credit without much thought as to how you intend to pay it back as well as the interest added on top. All the credit card companies want is for you to use the card and to pay off in chunks rather than in full. Often staff who offer you these deals have targets and employees need to sell these products, and I don’t just mean in shops, banks too have targets to meet. Being in control of your money is important and not feeling pressured by peer pressure and advertising to spend your money, is difficult. Stop spending money to make you look good in front of people is not doing you any favours, it is just hurting the money that you have worked hard for. Therefore, it is important that you take control of your spending habits and learn how much you are truly spending on your actual budget; you might be surprised! By looking at what you currently spend will help to identify the areas your can’t stop spending in and this can help you come up with ideas to change your spending behaviour. Do you know why your can’t stop spending money? 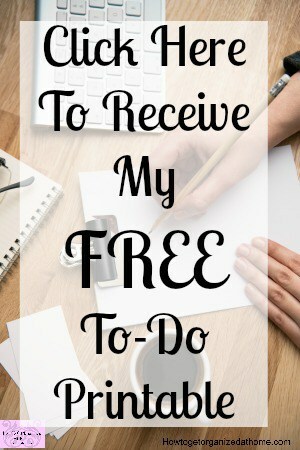 I wrote this article and I think it will help! 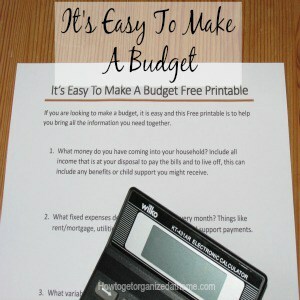 It’s Easy To Make A Budget, it will help you in the journey for taking control of your money! Yes to #1,2,3, well all of them really. I’ve been guilty of all 5. I need to make a budget asap. Bless you, the budget is the easy part, sticking to it is harder! Such good advice. For the first 15 years of our marriage I would withdraw cash each month and just make that last – no handing over the debit card all the time. It really worked and makes you think twice before buying anything. Now a days I still think about purchases but I do allow myself the convenience of the plastic card. I think maybe the good habits are engrained in me now! Not to say I never make a purchasing error, but thankfully not too often. I dislike the debit card it makes things too easy! I am an emotional spender. When I am upset and frustrated I will usually end up buying things that were not on my grocery list.